This new Transition Piece Lifting tool lifts and installs transition pieces in a safe and efficient way. 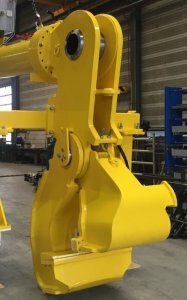 Based on the experience gained from our previous Transition Piece Lifting Tools Eager.one has developed a new Transition Piece Lifting Tool (TPLT). The main difference between our previous TPLT’s and our new tool is the interface with the TP Flange. A part of the offshore wind foundation is the Transition Piece which in most cases is a separate unit placed on top of a Monopile. The Transition Piece can be installed by means of pad-eyes or a clamped TP Lifting Tool. Replacing the use of pad-eyes this TP Lifting Tool has clamps to interface with the TP Flange. 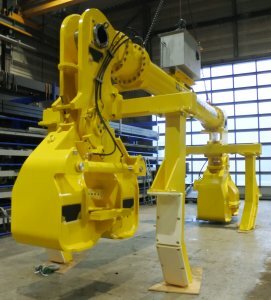 The modular design allows the tool to be used as a spreader without clamps also, or as a tool suitable for handling pad-eyes when clamps are replaced with pin-pushers. The tool is suitable for TP’s with T-flanges and L-flanges, weighing up to 600 t. The modular top beam makes the tool suitable for multiple TP-diameter sizes. Because most TP’s are equipped with a TP cover that remains on the TP during installation the TPLT is designed to cope with the height of the cover. For safety and ease of operation the Transition Piece Lifting Tool is powered by a remote controlled, battery charged, standalone electric HPU. On one charge the tool can install 10 TP’s and during transit the batteries can be charged. 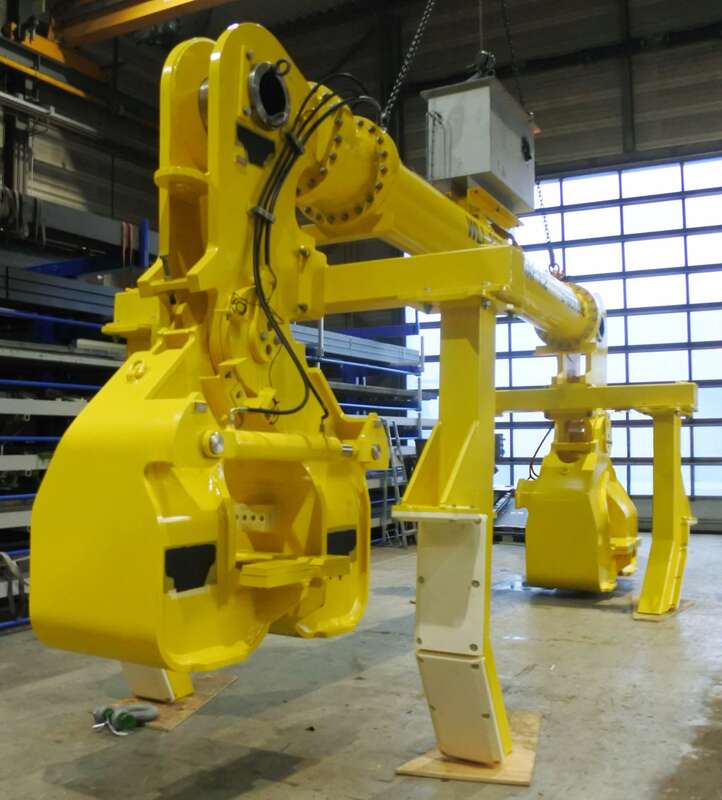 As contractor for this tool our scope included engineering, fabrication, load- and functional testing and commissioning support. For more information on lifting- and handling tools or specific questions about this tool please contact us.